Everybody is waiting, everybody is craving! 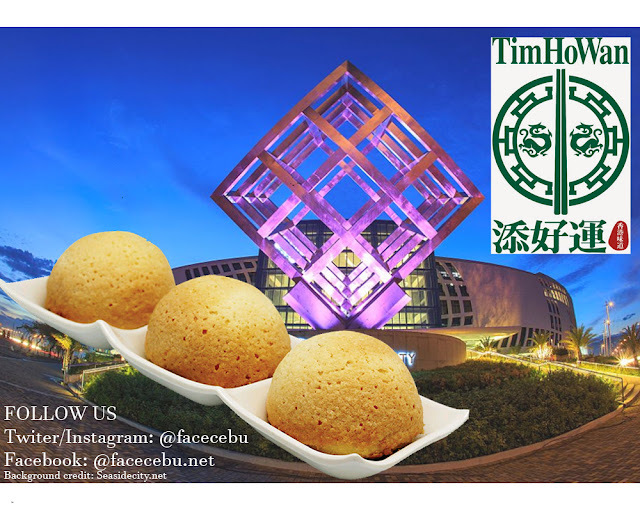 Luckily, the famous Tim Ho Wan will open its Cebu branch on March 25, 2017 (Saturday) in SM Seaside City Cebu. In addition to this good news is another amazing offerings! Tim Ho Wan Cebu will give free Pork Buns to the first 100 Guests everyday from March 25 to March 31 who will purchase a minimum of ₱500 . Who's not excited? Tim Ho Wan is famous of its Pork Buns specifically the Baked Bun with BBQ Pork. About this dish, (from their website) These hallowed meaty buns. They are soft but crispy on the outside; tearing it open releases a tiny flood of sauce and a gush of mouth-watering fragrance. Within the sauce swims soft and savoury pieces of barbecued pork. Sinking your teeth into anyone of them and you will find yourself asking for more.